In 2017, Brent Spence Bridge underwent routine maintenance to support smooth, safe travel across the Ohio River in Greater Cincinnati. While the bridge’s original design can no longer efficiently support the number of vehicles traveling across it daily, it is structurally viable for long-term use. Named after Newport, Kentucky-born U.S. Congressman Brent Spence, the Brent Spence Bridge opened in 1963 as one of the first four bridges crossing the Ohio River in Greater Cincinnati. A major transportation route for both national and local traffic connecting Ohio and Northern Kentucky on two major interstate highways, I-71 and I-75, the Brent Spence Bridge is critical to the movement of people, goods and services. Is the bridge in disrepair? Is it currently unsafe? The bridge is safe. This is routine maintenance necessary to support smoother travel, greatly improve lighting on the lower deck and repair joints. If the Brent Spence Bridge is going to be replaced, why repair it? The Brent Spence Bridge was built for a capacity of approximately 80,000 to 100,000 cars per day. Currently, it is supporting an Average Daily Traffic Count of 160,000 – 180,000 vehicles. The bridge is structurally sound; it just cannot efficiently support the current capacity of vehicle travel, which is why an additional bridge is being discussed. However, this project is just about maintenance of the existing bridge. Just like owning a house, general maintenance and repairs are needed to keep things in good operational order. What is the status of building a new bridge? The current project is focused on maintaining the existing bridge. More information about expanding the capacity of I-71 and I-75 over the Ohio River is available at BrentSpenceBridgeCorridor.com. 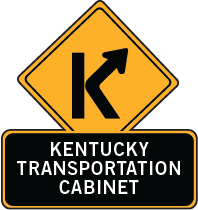 The Kentucky Transportation Cabinet is managing this project, working in partnership with the Ohio Department of Transportation. Hall Contracting is the successful contract bidder on this project. How much is this work going to cost? Approximately $10 million is budgeted for this work. What exactly will be done? The construction team will be replacing concrete surface lanes on the bridge, replacing bridge deck joints, repairing concrete and steel and replacing lighting. Will a truck ban be put in place during this maintenance project? Truck traffic is already being diverted off I-71 northbound because of construction work that is currently underway at the Lytle Tunnel. The Brent Spence Bridge maintenance work was in part planned around that project in order to take advantage of the fact that trucks aren’t currently using I-71 northbound. We are also encouraging all I-71 southbound traffic to use I-275 or I-471 to travel around the bridge rather than across it, which will help reduce traffic volume while Brent Spence Bridge maintenance is taking place. The closure of the ramp to I-71/I-75 South via Fort Washington Way should also help steer truck drivers towards these alternate routes. Is there any risk to traffic using the bridge while this work is going on? As with any construction zone, drivers should mind the posted speed limits and take care to slow down and avoid distractions while traveling through this area. How long will the delays be? It’s difficult to say exactly how long delays will be at various times of the day. Currently, because the Brent Spence does not have the capacity to efficiently support the volume of traffic it carries daily, backups at busy times extend about 7-8 miles on either side of the bridge with 15 to 20 minute delays on average. Going from four lanes to two lanes will likely add to this delay. Drivers should plan to adjust their travel time expectations and when possible, use detour routes, I-471 or the I-275 outer belt to avoid long delays while the major lane closures are in place. When is the last time this kind of work was done on the bridge? Focused maintenance of this type was completed on the Brent Spence in the late 1990s. Will the other bridges need maintenance soon? Work is focused on Brent Spence Bridge maintenance right now. Click here if you’d like to contact KYTC or ODOT for other bridge repair information. Why is maintenance being done in the summer when many travelers plan trips? Summer months are an optimal time for bridge and road maintenance because concrete work must be performed within a specific temperature range. Long summer days provide less hazardous work zone conditions for construction crews and easier access for motorists. Why are the Erlanger/KY 236 exits (Exit 184) closed? Ensuring the safety of the traveling public is our highest priority. Closing the Erlanger exits while the Brent Spence Bridge maintenance project is underway was done primarily as a safety consideration and also to help ease the flow of traffic from I-275 to I-71/75. Under normal circumstances, traffic entering I-71/75 from I-275 has to cross traffic leaving I-71/75 using the Erlanger/KY 236/Donaldson Road exits (Exits 184, 184A and 185B). As a result, significant congestion occurs in that area during peak travel hours. Now that the Brent Spence maintenance project is underway, traffic has increased even more due to more vehicles using I-471 and I-275 to travel around the Brent Spence Bridge area. Closing the Erlanger exits while the project is taking place eliminated the need for traffic to cross at this location, thus making it safer for drivers. However, after monitoring real-time traffic, KYTC determined that opening Exit 184A to Erlanger from I-275 would support better traffic flow in this area. The exit reopened Monday, July 24. Please be aware that traffic traveling south on I-71/I-75 will still not have access to Exit 184A. Only traffic traveling from either direction of I-275 will have access to Exit 184A. We will continue to monitor this area in partnership with the Erlanger authorities to determine if additional changes need to be made.